Stanford Sports Concussion Summit is organized by Stanford Center for Continuing Medical Education and will be held on Apr 27, 2019 at Arrillaga Family Sports Center, Stanford, California, United States of America. This CME Conference is of maximum of 6.50 AMA PRA Category 1 Credits™ Target Audience : This regional conference is designed for physicians, nurses, nurse practitioners, physician assistants, psychologists, social workers, physical trainors and other allied health professionals, specializing in Emergency Medicine, Family Practice, Internal Medicine, Primary Care, Neurology, Orthopedics, Pediatrics, Psychiatry, Radiology, and Rehabilitation, as well as athletes and members of the general public interested in learning about advances in concussion. Course Description : The Stanford Sports Concussion Summit aims to increase participants’ knowledge and enhance clinical integration of the best practices and evidence-based advances in the diagnosis and management of concussion and mild traumatic brain injury. The clinical track focuses on developments in sports concussion while the demonstration track exhibits innovative technology in the field. The Summit will feature expert physicians, patients, and a multidisciplinary group of practitioners committed to advancing concussion research, including a former professional athlete and Pac-12 Brain Trauma Task Force Collaborators. The sessions integrate clinical knowledge, patient experience, and public outreach to provide global insight into the management of concussion in adults and children. Learning Objectives : At the conclusion of this activity, learners will be able to: • Interpret key points from recent national guidelines pertaining to concussion. • Describe the scope of advancing technology and its growing role in concussion diagnosis and management. • Interpret data from current high-quality, evidence-based literature pertaining to concussion management and diagnosis. • Differentiate the subtypes of concussion using the appropriate theory and clinical evidence. • Construct a comprehensive picture of concussion management that includes sideline, clinical, and home care of the patient. 12th Annual Cardiology for the Primary Care Practitioner is organized by Stanford Center for Continuing Medical Education and will be held on May 11, 2019 at Li Ka Shing Learning and Knowledge Center, Stanford, California, United States of America. Additional details will be posted as soon as they are available. Front-Line Management of the Patient with Suspected Pulmonary Hypertension is organized by Stanford Center for Continuing Medical Education and will be held on Jun 07, 2019 at Frances C. Arrillaga Alumni Center, Stanford, California, United States of America. This CME Conference has been approved for a maximum of 8.00 AMA PRA Category 1 Credits. Additional details will be posted as soon as they are available. Advanced Wilderness Life Support (AWLS) Summer Course 2019 is organized by Advanced Wilderness Life Support (AWLS) and will be held from Jul 12 - 14, 2019 at Arrillaga Outdoor Education and Recreation Center, Stanford, California, United States of America. Description: Advanced Wilderness Life Support® (AWLS) is a medical certification course that provides a practical foundation in Wilderness Medicine for medical professionals. The course is a 3-day course that teaches patient assessment and treatment guidelines enabling them to prevent and effectively manage emergency medical situations outside traditional medical facilities until definitive care or evacuation is available, and trains the provider in methods to manage medical and trauma emergencies and urgencies in the wilderness when evacuation is unavailable or unnecessary. The course is equally divided between didactic lecture and hands-on teaching. The AWLS certification is appropriate for any licensed medical professional, or medical professional in training, who has an interest in wilderness activities. Learn Theory, Assessment, & Stabilization of Wilderness Emergencies Including: Animal, Insect, and Arthropod Bites and Stings, Avalanches, Dive medicine, Head, Ear, Eye, Nose, Throat, & Skin, High Altitude Sickness, Hyperthermia, Hypothermia, & Frostbite, Infectious Diseases, Lightning, Medical Kits, Patient Assessment, Submersion, Water disinfection, Wound and Musculoskeletal Injuries Management, Assessment & Scene Safety, C-spine Management, Dislocations, Fractures, & Splints, Patient Packaging & Evacuation Additional details will be posted as soon as they are available. 27th Annual Pediatric Update and Pre-Conference: What’s New in Allergy and Pulmonology 2019 is organized by Stanford Center for Continuing Medical Education and will be held from Jul 18 - 20, 2019 at Frances C. Arrillaga Alumni Center, Stanford, California, United States of America. Pre-Conference: What’s New in Allergy and Pulmonology 2019 Thursday, July 18, 2019 Statement of Need: Continuous advances in clinical science require pediatricians and family physicians to obtain comprehensive, up-to-date information on a wide variety of clinical issues that may be encountered in daily practice. This course, What‘s New in Pediatric Allergy and Pulmonology, will focus on updates in allergy, sleep and pulmonology including clinical management strategies of pediatric conditions such as: early oral desensitization to food allergy, sleep disturbances in children and adolescents, sleep hygiene training, non-invasive ventilation for children with sleep disorders, updates on atopic dermatitis, cystic fibrosis, severe asthma in your office, and more. Target Audience: This national program is designed for: • Pediatricians • Family Practice Physicians • Physician Assistants • Nurse Practitioners • Nurses • Allied Health Professionals Credit Designation: The Stanford University School of Medicine designates this live activity for a maximum of 7.25 AMA PRA Category 1 Credits™. Physicians should claim only the credit commensurate with the extent of their participation in the activity. Learning Objectives: At the conclusion of this activity, learners will be able to: • Develop a strategy to manage a child with severe asthma in your office. • Treat your pediatric patients presenting with atopic dermatitis using current best practice guidelines. • Appropriately use non-invasive ventilation in children with sleep disorders. • Counsel parents on sleep hygiene training for their children, beginning in infancy. • Utilize early oral desensitization to food allergies in your allergic pediatric patients. 27th Annual Pediatric Update July 19-20, 2019 Statement of Need: This CME course will provide pediatricians and family physicians with up-to-date clinical information on a wide range of clinical issues encountered in daily pediatric practice. 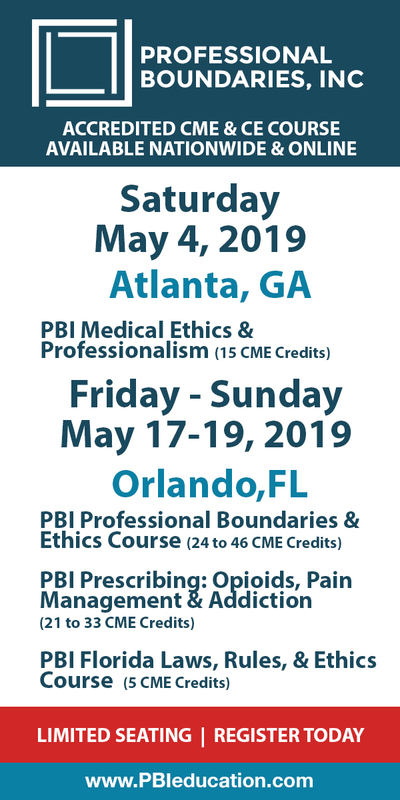 Course highlights include an update on vaping; the advantages of a pediatric aerodigestive center; making your office transgender friendly; anxiety and depression in the adolescent; update on infant and pediatric formula; concussion and return-to-play; social media and device addiction and other topics that will be of interest to those physicians who care for children and adolescents. Target Audience: This national program is designed for: • Pediatricians • Family Practice Physicans • Primary Care Physicans • Physician Assistants • Nurse Practitioners • Nurses • Allied Health Professionals Credit Designation: The Stanford University School of Medicine designates this live activity for a maximum of 11 AMA PRA Category 1 Credits™. Physicians should claim only the credit commensurate with the extent of their participation in the activity. Learning Objectives: At the conclusion of this activity, learners will be able to: • Increase knowledge of Long Acting Reversible Contraception (LARC) and enhance skills to counsel our adolescent patients. • Recognize an adolescent patient as a suicide risk and differentiate between an ideator and an attempter to treat or refer the patient to a specialist. • Counsel patients and their parents on the dangers of vaping. • Identify patients exhibiting social media and electronic device addiction and develop a strategy to counsel and treat or refer these patients. • Develop strategies with your staff to make your office environment transgender friendly. Additional details will be posted as soon as they are available. Stanford Maintenance of Certification in Anesthesiology (MOCA) Course is organized by Stanford Center for Continuing Medical Education and will be held on Jul 22, 2019 at Li Ka Shing Learning and Knowledge Center, Stanford, California, United States of America. This CME Conference is Maximum of a maximum of 8.50 AMA PRA Category 1 Credits™. Target Audience : The course is designed for local, national, and international physicians who practice in the field of anesthesiology Course Description : The Center for Immersive and Simulation-based Learning (CISL) offers a one-day simulation training course in anesthesia crisis management. As one of ASA’s endorsed programs, our course can be used toward Part 4 (Practice Performance Assessment & Improvement) of Maintenance of Certification in Anesthesiology (MOCA®). Our course is delivered by leaders in anesthesia and the field of simulation-based training. It offers hands-on practice of current techniques, diagnosis and treatment of difficult anesthesia cases which also covers Crisis Resource Management (CRM) training. Course Objectives: • Develop strategies to apply technical skills to appropriately diagnose and treat anesthesia emergencies. • Develop strategies to apply crisis resource management skills during clinical crisis situations. • Develop strategies to apply reflective and self-assessment skills to review and analyze clinical performance. Additional details will be posted as soon as they are available. Stanford Facial Nerve Symposium is organized by Stanford Center for Continuing Medical Education and will be held on Aug 03, 2019 at Li Ka Shing Learning and Knowledge Center, Stanford, California, United States of America. 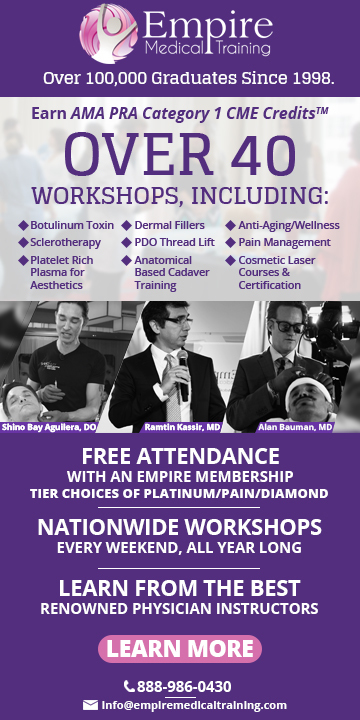 The target audience for this medical event is physicians and allied health professionals specializing in neurology, otology, surgery, facial plastic, plastic surgery, physical therapy, occupational therapy, and speech pathology. This CME Conference has been approved for a maximum of 6.75 AMA PRA Category 1 Credits. Conference Description: Facial paralysis affects thousands of children and adults each year and can have a significant impact on patient quality of life. This CME symposium seeks to increase knowledge about the options for treatment for facial paralysis by using a broad, multidisciplinary approach to describe the role of surgical reanimation, rehabilitation, mental health, ophthalmology, neurodiagnostic assessment, and skull base surgery in the care of patients with facial paralysis. Faculty experts will review current evidence-based practices, incorporate case-based discussions to facilitate discussion on the optimal surgical and nonsurgical options for patients with facial paralysis, as well as present best practices for developing and utilizing a multidisciplinary care team to optimize health outcomes. Conference Objectives: At the conclusion of this activity, learners will be able to: • Recognize the benefits and limitations of surgical reanimation strategies that report high success rates • Utilize the referral system for patients who would benefit from services available at tertiary care centers, including electrodiagnostic testing and physical therapy/rehabilitation • Assess the knowledge and experience of rehabilitation specialists with facial rehabilitation, and provide treatment algorithms based on best available evidence • Incorporate clinical "pearls" for the history, physical exam, and radiographic findings that may help guide treatment for these patients • Identify medical practitioners in their local medical community who could join the multidisciplinary care team to assist with the care of facial paralysis patients Additional details will be posted as soon as they are available. Stanford Maintenance of Certification in Anesthesiology (MOCA) Course is organized by Stanford Center for Continuing Medical Education and will be held on Aug 05, 2019 at Li Ka Shing Learning and Knowledge Center, Stanford, California, United States of America. This CME Conference is Maximum of a maximum of 8.50 AMA PRA Category 1 Credits™. Target Audience : The course is designed for local, national, and international physicians who practice in the field of anesthesiology Course Description : The Center for Immersive and Simulation-based Learning (CISL) offers a one-day simulation training course in anesthesia crisis management. As one of ASA’s endorsed programs, our course can be used toward Part 4 (Practice Performance Assessment & Improvement) of Maintenance of Certification in Anesthesiology (MOCA®). Our course is delivered by leaders in anesthesia and the field of simulation-based training. It offers hands-on practice of current techniques, diagnosis and treatment of difficult anesthesia cases which also covers Crisis Resource Management (CRM) training. Course Objectives: • Develop strategies to apply technical skills to appropriately diagnose and treat anesthesia emergencies. • Develop strategies to apply crisis resource management skills during clinical crisis situations. • Develop strategies to apply reflective and self-assessment skills to review and analyze clinical performance. Additional details will be posted as soon as they are available. 8th Annual Navigating Spine Care is organized by Stanford Center for Continuing Medical Education and will be held on Aug 24, 2019 at Frances C. Arrillaga Alumni Center, Stanford, California, United States of America. Additional details will be posted as soon as they are available.